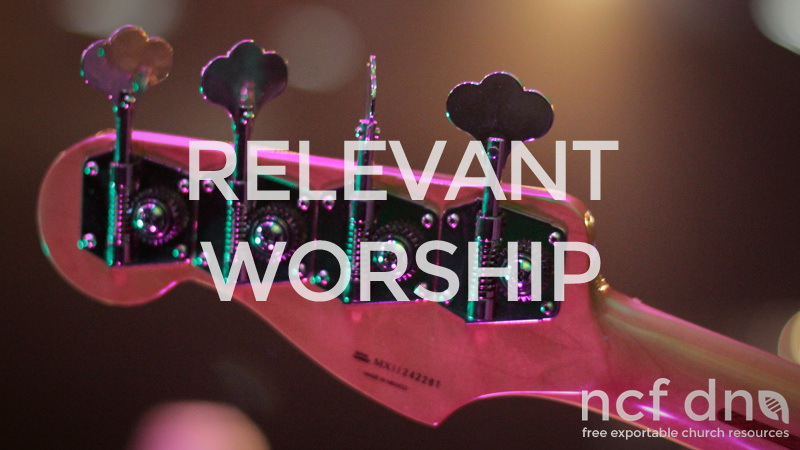 Alive and compelling worship, where people encounter God, is a contributor to a church growing. 2. The Role of the Musician/ band leader! A critical role of the band leader is to help the church to ” make melody to the Lord with your heart”. This is a lofty call , one which breathes life and strength into a local church. Our musicians need to be striving to excel in this arena and to give what they have to the whole Christian world. Church services are not meant just for believers. When Paul speaks to the Corinthians he is clearly expecting unsaved people in the meetings. He warns against the improper use of tongues in worship for the sake of the unsaved. He encourages the proper use of prophecy in worship for the sake of the unsaved. So if unsaved people are in the building and we are to be “addressing one another in psalms and hymns and spiritual songs”, then surely we want to speak in a language and in a way unsaved people want to hear. Paul said that he became all things to all men that he might win some. Surely our singing at events and Sundays needs to be as good as the world and in a language that the world can relate to. We want to see Christ centered , gospel themes put into different genres of music at the different sites on Sundays. We want to hold events that the unsaved come to, that connect with them and that preach the gospel clearly. These events can be in our facilities or in neutral venues. The Role of our specialist “Producer/ director”and our psalmist consultant! To pray for their fruitfulness and protection, and to include them in our missional plans. To keep us current with what God is doing around the world. The role of the Elders at the site! To lead the meeting on a Sunday , by partnering with the musicians. Talk to them before the meeting, keep your eyes open so you can communicate during the meeting and encourage them afterward. Protect your musicians from burnout, causal members and self destructing their ministries. Release and facilitate the gifts of the spirit in and around the musicians.